Happy Tuesday everyone! I hope everyone is having a fantastic week! This week, my recipe is Vegan Cinnamon Rolls! 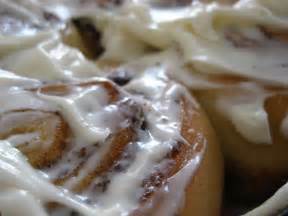 Cinnamon rolls are a huge favorite for morning breakfast in the house aside from pancakes. Please enjoy! In another small mixing bowl, whisk together warm water and yeast. Allow mixture to sit for 10 minutes so the yeast can activate. Add flour to a medium mixing bowl. In another bowl, add brown sugar, vegan butter, and salt and whisk until incorporated. Add flax meal mixture from step 1 with the yeast mixture from step 2 to bowl with the sugar and butter mixture. Whisk until well combined. Add these ingredients to the bowl with the flour and stir until it forms into dough. Lightly dust a clean surface with flour and knead the mixture for 5-10 minutes. Place dough back in mixing bowl, cover, and place in a warm place for 1 hour. Afterwards, knead the dough for an extra minute and let it rest for 10 minutes. In a small bowl, whisk together the brown sugar, butter, maple syrup, and cinnamon. Set aside. Roll the dough into a flat rectangle. Spread vegan butter, sugar, and cinnamon mixture evenly on top. Carefully roll up the dough. Cut into sections. Place rolls into a lightly greased pan, cover and let rise for 1 hour. Add walnuts or raisins on top (optional). Bake cinnamon rolls at 400 degrees for 15 minutes. Make icing while waiting. For icing, place all ingredients in a food processor, process until smooth and use immediately.